Crunchyroll announced on Wednesday that they will begin streaming the sequel movie, Trinity Seven: Heaven’s Library & Crimson Lord on Friday outside of Asia and North America worldwide. The anime movie based on Kenji Saito and Akinari Nao’s Trinity Seven manga series will also be screened in North American theaters. Crunchyroll is not specific on when they will air the film. 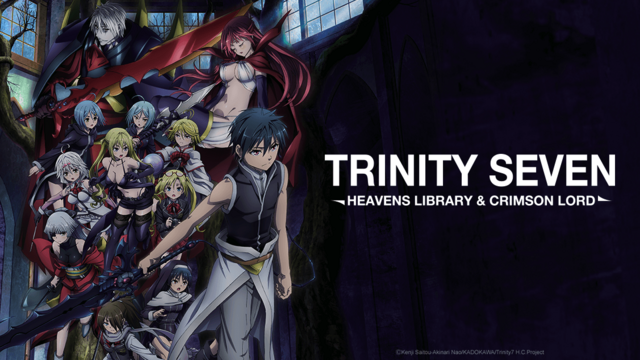 Plot: Heavens Library & Crimson Lord brings back Arata, Lilith and the rest of the Trinity Seven to face off against the greatest enemy in the history of the Trinity Seven; Lilith’s own father, who is revealed to be the strongest Demon Lord who challenges Arata who is now a Demon Lord candidate.